If you're a fan of Hong Kong Cinema or martial arts movies then you probably know the name Shaw Brothers. Shaw Brother's Studio dominated the Hong Kong Film industry of the 60's and early 70's. The studio began the careers of many of Hong Kong's best directors and most beloved stars. Under the auspices Sir Run Run Shaw, the studio boasted a rigorous production schedule with a new film starting every nine days. At the same time the studio was still able to set new standards in film-making. Increasing competition and piracy issues caused the studio to begin to fade and by 1983 film-making operations were shut down in favor of focusing on television production. The studio amassed a catalog of over 800 films. Here are a few that I believe are essential viewing. I am not saying that they are the best from Shaw Studios, merely that for fans of the genre they are a must see. 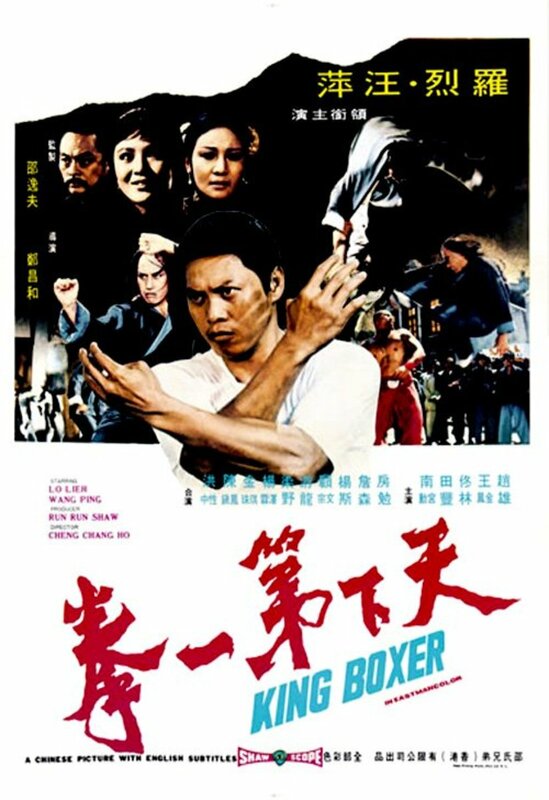 King Boxer or as it's better known under it's original U.S. release title, The Five Fingers of Death, is the movie that launched the martial art movie craze. A huge success in the grindhouse and drive-in circuits, it opened the doors for U.S. distribution deals for many other Hong Kong movies and the main stream success of Bruce Lee and Enter the Dragon. By mixing Hong Kong style kung fu action with more western style melodramatic story elements the film was able to achieve a more international appeal. Starring Indonesian actor Lo Lieh, who would go on to become a well known star in the martial arts movie world, King Boxer tells the story of young martial arts student, Chi-hao. Most of his life is spent studying under the same master, whose daughter he has fallen in love with. When I rival school, with the help of hired assassins, threatens to take over; his master sends him to study with a superior master, to learn the "Iron Palm technique, so that he may defeat the opposing school in an upcoming tournament. That's the basic plot, there are however, needless to say, a few twists and some set backs for our hero along the way. Plus a couple of subplots involving some of the supporting characters. 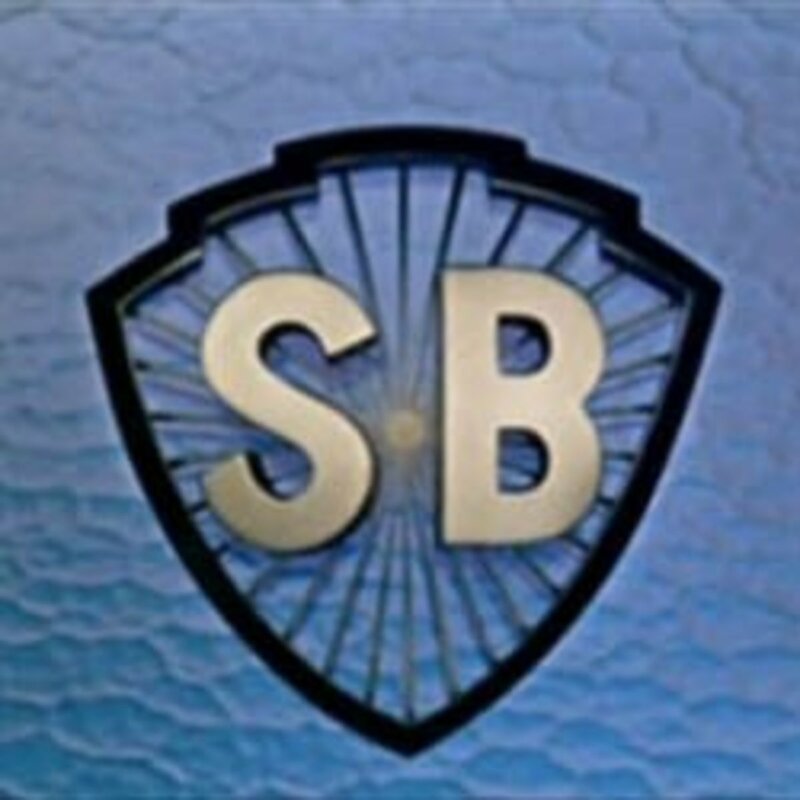 Being a Shaw Brothers production allowed film to have a higher budget than most Hong Kong films at that time. This allowed for, among other things, a much larger cast of characters than had been assembled before for a martial arts production. 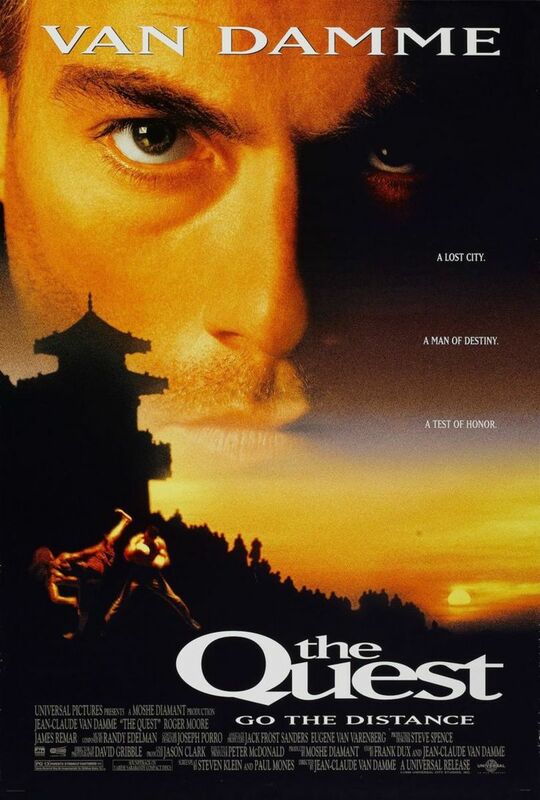 The script takes advantage of this by adopting a more ensemble style, rather than the more common singular narrative of some other martial arts films of the time. Even the villains get equal screen time. With well staged action sequences and first rate set design and art direction the filmmakers manage to give the film a more epic scope, without losing track of the more intimate interpersonal relationships between characters or the underlying themes of devotion, loyalty, sacrifice and redemption. 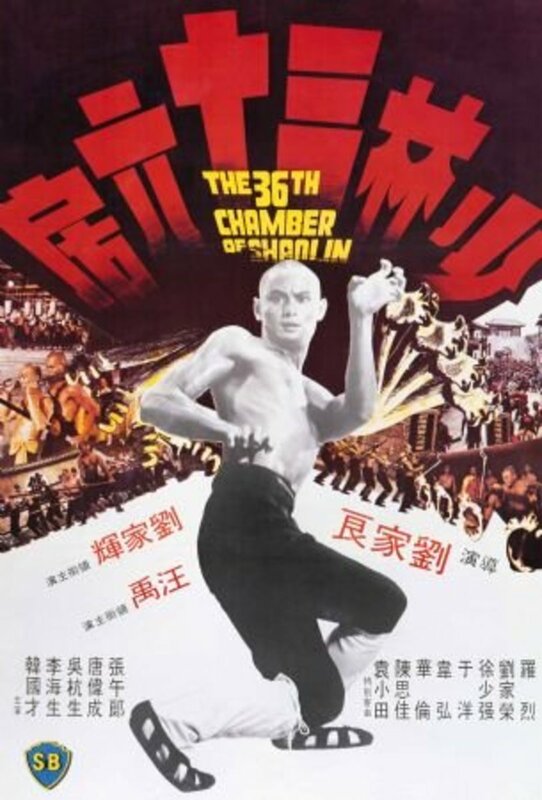 The 36th Chamber of the Shaolin is widely considered to be one of the most influential movies of the martial arts film genre. It is credited with setting up the blueprint for the popular training for the revenge storyline of the genre. It also launched the careers of star Gordon Lui (Liu Chia-Hiu) and his adoptive brother, director Lau Kar-Leung. Both would go on to have long successful careers, collaborating together several more times. Gordon Lui would become one of the most recognizable stars of the Kung Fu film era. Both remain active in film and TV to this day with Lui recently appearing as Johnny Mo and Pai Mei in Quentin Tarantino's Kill Bill Films. Incidentally, Pei Mei, based on the legendary chinese figure of Bak Mei, was a character originated by Kung Fu star Lo Leih in movies like Fist of the White Lotus (aka Clan of the White Lotus) in which Gordon Lui co-starred fighting against Pai Mei. In the 36th Chamber Lui plays a fictionalized version of another legendary chinese figure, San Te, a Shaolin Monk. In the film Manchu officials slaughter San Te friends and family. Wounded, San Te flees, seeking refuge in a Shaolin temple. Wanting vengeance, he asks to be trained in Kung Fu. Initially the monks reject him as an outsider, but the head abbot takes mercy on him and allows him stay. After a year he is allowed a chance to train, but he must first earn the right to study by overcoming the temple's 35 chambers, each one containing a different torturous trial. The various tasks include carrying buckets of water with knives tied under his arms and hitting thick sacks with his head. He quickly advances through the chambers within 5 years, completely unaware that chambers are in fact the Shaolin training regime. Each one designed to enhance his senses, strength, agility, and reactions. Along the way, inventing the three section staff. However, as San Te nears the end of this training, he is exiled from the temple after daring to suggest the addition a 36th chamber, for the open teaching of Shaolin techniques to the local populace. He returns to his village to begin to teach Shaolin-style Kung Fu to the public, but he must first deal with the Manchu governor. The highlight of the film is the extended, creative, and often grueling training sequences that take up the majority of the middle act. What in most film would be nothing more then an obligatory montage or tedious filler, here becomes the integral core of the movie. Director Lau Kar-Leung is a master action choreographer and fills each of the scenes with a creative energy that keeps them fun and interesting to watch. This was Gordon Liu's career-defining role. He gives a fairly nuanced performance, managing to convey a convincing transition from a rash inexperienced youth to an intelligent mature adult. Proving himself as a competent actor as well as an accomplished martial artist. 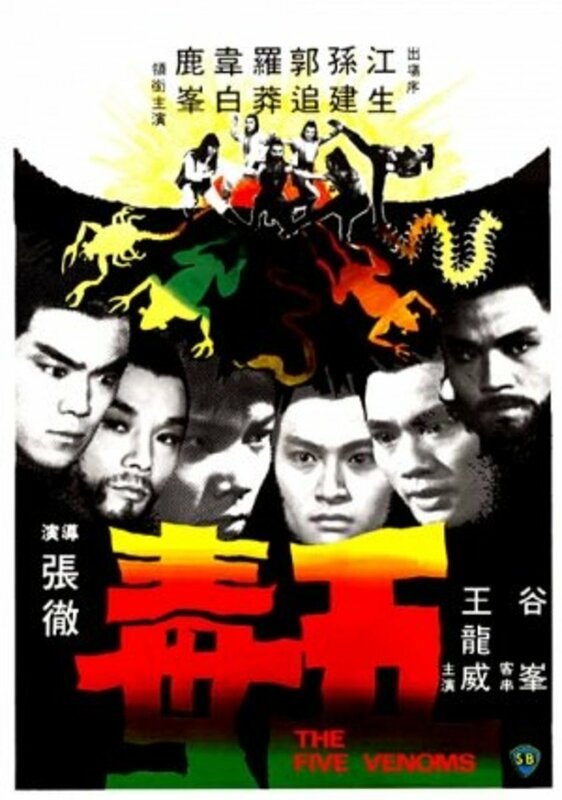 The Five Deadly Venoms was a huge international success for Shaw Brother studies and remains one of the most influential Kung Fu cult classics of all time. Directed by veteran Shaw Brother's director Chang Cheh the film was based on a script by prolific writer Ni Kuang which was actually part of a loose narrative of stories dealing with a secret organization, known as the Poison Clan, that was out to take over the martial arts world through nefarious means. For the film Chang Cheh contracted six young talented Taiwanese stuntmen/actors ( Kou Chui, Lu Feng, Sun Chien, Lo Mang, Wei Pai, and Chiang Sheng). Chiang Sheng, Kuo Chui and Lu Feng had been childhood friends who trained together in Peking Opera and were highly skilled acrobats, stuntmen, and Chinese weapons experts. Lo Mang had formerly been an accountant for Chang Cheh short lived semi-independent fillm company in Taiwan, Chang Cheh Film Co, before moving into acting. A student of the southern mantis style, he was best know for his impressive physique. Su Chien had practiced Tae Kwan-Do in the military and was recruited by Cheh for his impressive kicking skills. Wei Pai did not possess the same fighting skills as the rest of the cast and preferred dramatic scenes to fight scenes. 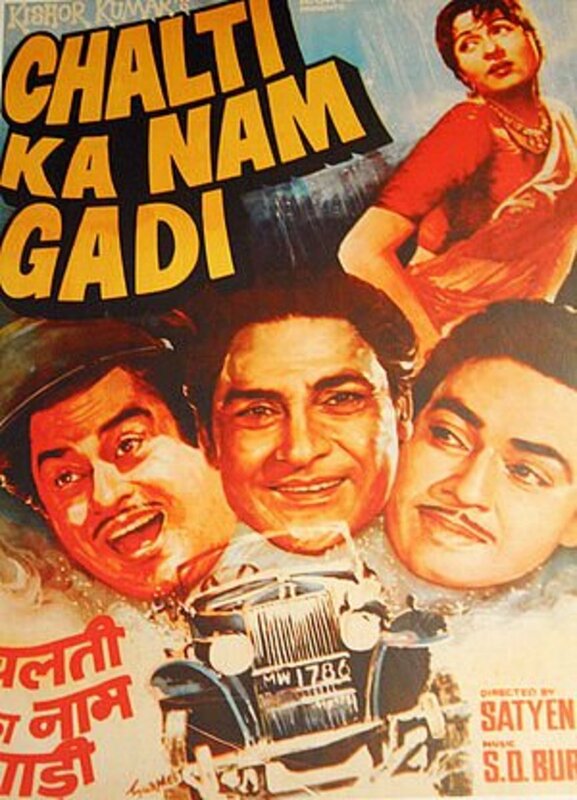 All had appeared in other films but did not become in high demand till appearing as a group in The Five Deadly Venoms. The cast became overnight superstars. Shaw Studies immediately decided to capitalized on the success by reuniting director Chang Cheh and the cast in a serious of films ( House of Traps, Kid with the Golden Arm, Magnificent Ruffians, Shaolin Dardevils, Life Gamble, 2 Champions of Shaolin, Crippled Avengers A.K.A. Return of the Deadly Venoms, ect.) except for Wei Pai who defected to Golden Harvest, and didn't not appear many other films with the other Venoms. Although none were a direct sequel to The Five Deadly Venoms they have become know as The Venom Movies and the cast would become know as he Venom Mob. The dying master of the powerful Poison Clan sends his last student, Yan Tieh, on a crucial mission. Worried that the skills he has taught are being used to evil ends, he orders the Yan to track down a retired colleague and warn him that the fortune he has amassed on behalf of the clan maybe under threat from five of his former disciples. Each an expert in a different lethal combat style. Yan must discover the whereabouts and true identities of these deadly masked warriors and decide which, if any, can be trusted. Each of the the five Poison Clan members is either referred to by their venom fighting style, or by the number in the order of which they were trained in. Number One is The Centipede (Lu Feng). This style uses lightning fast strikes that are said to be so quick that it almost seems if he has a hundred arms and legs. Number Two is The Snake (Wai Pai). In this style one hand represents the bite of the snake's fangs, while the other, the stinging whip of it's tail. Masters of this ability can fight extremely well while lying on their back from the floor. Number Three is The Scorpion (Sun Chien). Kicks from the Scorpion style are just like the sting of a scorpion's tail. When delivered by a master, a single kick can paralyze or even kill. This is combined with pincer-style hand strikes that emulatine the claws of a scorpion. Number Four is the Lizard or Gekko (Kuo Chui). This style emphasizes speed and agility. Lizard masters apparently possess an ability to defy gravity and can walk on walls. Number Five is The Toad (Lo Meng). Masters of this style are impervious to most forms of attack. They can bend solid metal and swords and spears can not penetrate their skin. They are nearly invulnerable except for one secret weak spot. Yan Tieh (Chiang Sheng), has been taught a little of each style but has mastered none, however his master has told him the weaknesses of each. One can not help but to note, The Five Deadly Venoms cultural impact as well. Everything from music, movies, tv, comics, and videos have been influenced by it. In Quentin Tarantino's Kill Bill films the five member Deadly Viper Assassination Squad is a direct reference to the Five Deadly Venoms. The film is also referenced frequently in the music of the Wu-Tang Clan. In the World of War online role-playing game a poison selling shop in the city of Stormwind is called "The Five Deadly Venoms." The Super Sentai Series is a long running Japanese children's show, the footage from which has been adapted in the US as the Mighty Morphin Power Rangers. Juken Sentai Gekiranger, the thirty-first entry in the franchise, directly based it's characters of the Five Venom Fists on the Five Deadly Venoms, even reflecting the same fighting styles from the film. In America, footage from Juken Sentai Gekiranger became the basis for Power Rangers Jungle Fury and the Five Venom Fists were translated into the Five Fingers of Poison. In the indie comic book series Infinite Kung-Fu the major villains have taught themselves the forbidden poison styles, which are the same styles displayed. In "The Five Deadly Venoms." In the movie Iron Monkey, when Yu Rongguang's character is struck by the deadly and venomous Buddha's palm technique, Yu Rongguang's character instructs his assistant to create an anti venom from the venom's of the centipede, viper, scorpion, and gekko, he passes out before revealing the final venom ingredient, though presumably it was that of the toad. The examples go on and on. Entertainment Weekly listed it as number 11 on its list of the Top 50 Cult Films. Hero of the East mixes elements of comedy, action, and even a little romance. It is one of the many successful collaborations between Hong Kong action star Gordon Lui and director Lau Kar-Leung. Lui stars as Ah To, a Chinese martial artist forced into an arranged marriage with Kung Zi, the daughter of his family's Japanese business partner. Although there is an immediate attraction between the two, they constantly bicker and fight (sometimes literally) over whose martial art discipline, Chinese or Japanese, is superior. Unable to defeat Ah To in combat, Kung Zi's pride is wounded causing her to return to her sensei in Japan. Realizing that he misses his wife, To comes up with a plan to get her to come back by sending her a letter extending an open martial arts challenge, in hopes it will offend her sense of pride causing her to return to defend her honor. However, the plan backfires when the letter is intercepted by Kung Zi's fellow martial arts student and ninjitsu master, Takeno, who grew up with Kung Zi and clearly harbors feelings for her. The challenge is misinterpreted as an insult to all of Japanese martial arts. Takeno, along with his and Kung Zi's sensei gather together some of Japans greatest masters to confront Ah To and accept his challenge. Ah To is forced face each master in one-on-one combat. What ensues is a series of expertly choreographed fight scenes showcasing a plethora of martial art styles and weapons. 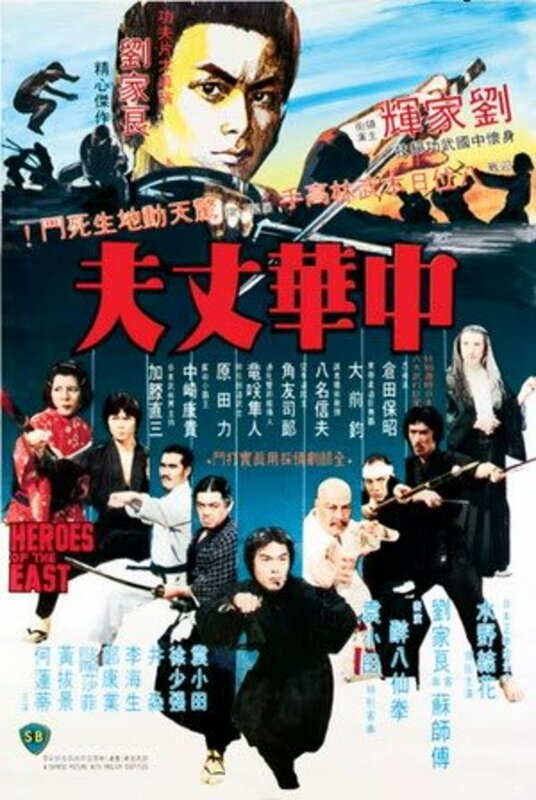 Several things make Heroes a departure from other Shaw Brothers films. Most notably being that no one is killed. There are none of the usually themes of revenge, codes of honor or blood feuds. It's a comedic love story about honor, friendship, and understanding between two cultures. Another thing that sets it a part form other Hong Kong films of the time is that the Japanese characters are portrayed with respect and not stereotyped as the villains. In fact, there are no real villains in the film, only cultural misunderstandings. Director Lau Kar-Leung, himself a Kung Fu master, insistence on authenticity was so intense that rather than just hiring actors, he actual gathered together a group of authentic Japanese martial artists, all masters in their chosen weapon or style. There are scenes involving swords (the the Japanese Katana vs the Chinese Jian and the Japanese Ninjato vs Chinese Dao), Japanese Karate vs Chinese Drunken Boxing, melee weapons (the Japanese Nunchaku and Tonfa vs the Chinese Three Section Staff), spear fighting (the Japanese Yari and Chinese Qiang), short swords (the Japanese Sai vs the Chinese Butterfly Sword), chain/rope weapons (the Japanese Kusarigama vs Chinese Rope Dart, throwing weapons (Japanese Shuriken vs Chinese sleeve darts, Japanese crab-style (invented for the film) vs Crane Kung Fu, and Japanese Judo vs "peanut oil." Ah To's final challenge is of coarse to face Takeno and his ninjitsu stealth and cunning. Director Leung, even makes an amusing little cameo as a drunken style master. Heroes apply uses it's lighter PG tone to appeal towards a broader audience, without sacrificing any of the dynamic energy from it's fight scenes. Let me start by saying that the original One-Armed Swordsman is a classic and is a must see for any martial arts or Hong Kong movie fan. However, The New One-Armed has it's own merits and is well worth checking out. 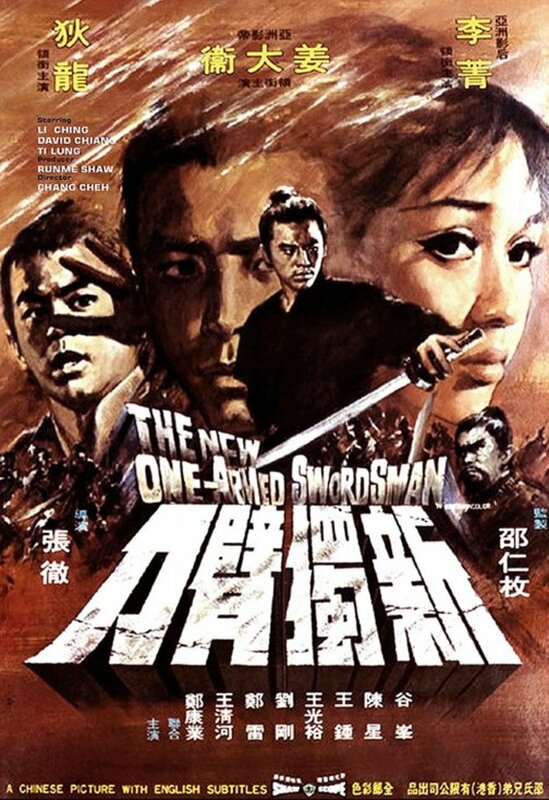 When star Jimmy Wang Yu left Shaw Brothers Studios, Chang Cheh, the director of the landmark original One-Armed Swordsman and it's sequel Return of the One-Armed Swordsman, decided to do an updated re-imagining of the One-Armed Sword's premise replacing Wang Yu with his new favorite leading man David Chiang. In the film Chiang plays Lei Li, a skillful young swordman of the Twin Swords fighting style. Hero Lung, an evil and deceitful Kung Fu master, challenges and easily defeats him using his Triple Irons Technique, which has been specially designed to counter the Twin Swords technique. After his defeat, as part of the oath he has made, Lei is forced to swear to never practice Kung Fu again and in an extreme gesture of honor, severs his own arm. He spends the next year moping around feeling sorry for himself as he waits tables at rundown inn of a small village, until another twin-bladed swordsman, Fung arrives in town. They quickly forge a mutual respect and friendship. When Fung doesn't return after going of to face Lung. Lei Li, makes the decision to break his promise to avenge his friend. In my opinion the one area where The New One-Armed Swordsman is able to out do it's predecessor is in it's fight scenes. Choreographed by the great team of Lau Kar-leung and Tang Chia, they take advantage of a more physically talented cast, then in the previous films. For example, David Chiang's acrobatic abilities allowed for more intricate flips and spins to be incorporated into his fight scenes. The weapons movements are also more complex. In particular, the use of the three-sectioned staff, the principal villain's weapon of choice, is impressively well executed. The finale is suitably epic, set on a massive wooden bridge, Lei Li takes on Hero Lung and his entire army of his disciples. 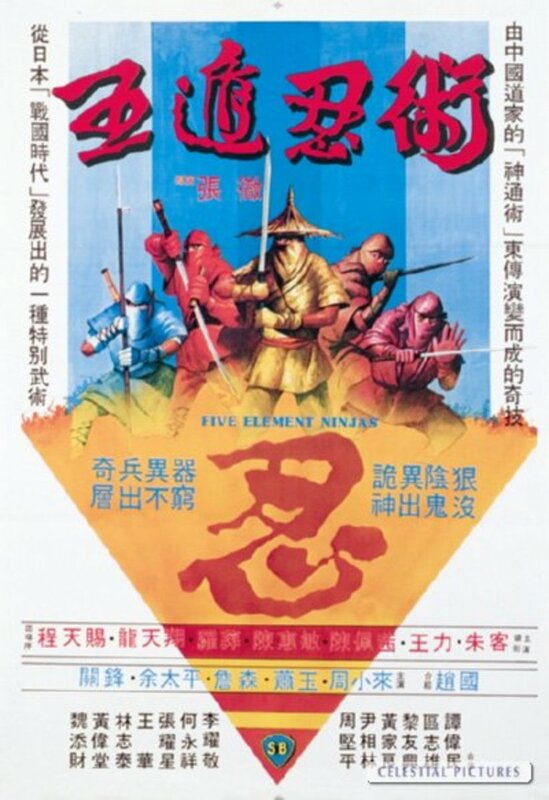 The Five Element Ninjas basically takes many of the classic Shaw Brothers elements, like betrayal and vengeance, mixes them with the popular mythic ninja sub-genre of the early 80's, and adds in an extra healthy amount of blood and gore. While some fans like to include it as one the Venom Films, I do not believe this to be technically accurate. While it was directed by Venom director Chang Cheh, only one of the original Venoms, Lo Meng (Toad), has a role in the film. The plot starts off typically enough with two rival martial arts schools. After Master Li's school defeats Master Kang's, Kang is humiliated and turns to Ninja Master, Cheng Yun, and his five element ninja clan for help in defeating his enemy. The ninjas infiltrate Li's school slaughtering everyone, except Tsiau Chin Hau who escapes to set out for revenge. He seeks out Master Yan Yong Fe and along with three of Yan's students studies the secrets of defeating the five element ninjas. In the film the five elements in question are gold, wood, water, fire, and earth. Each is represented by a different colored costume. Gold element Ninjas wear gold foil uniforms and use reflective weapons that blind their opponents. While wood ninjas are clad in tree bark grayish brown colors and climb, attack from and disguise themselves as trees. The water ninjas dress in blue and hide under water. The fire ninja sport bright red wardrobe and use explosive red smoke bombs to disorient opponents. The earth ninja wear slightly orangey brown outfits and burrow through the the ground. The Five Element Ninjas is easily one of the Shaw Brother most violent and bloody films with multiple impalements, decapitations, and dismemberments. The violence sometimes verges on cartoonish with one ninja having all four of his limbs simultaneously torn from his body and another ninja tripping over his own intestines. It also features a variety of unique multi-faceted weapons, fast paced multiple combatant fight scenes, and a lot of imagination. The Crippled Avengers is consider by many to be one of the best of the Venom series of Films. Filled with heighten blood and violence, flamboyant characters, unique weapons, and diverse fighting styles, it's also a prime example of 70's kung fu action at it's most stylized fun. The film wastes no time getting started, opening with three swordsman busting into the home of Master Dao Tian-du, slicing through his servants before chopping of his wife's legs and his son's arms below the elbow. Tian-du arrives home and kills the intruders. His wife dies, but his son some how survives. Tian-du has a pair of metal prosthetic arms crafted for his son, Dao Chang, to wear. Embittered, by the experience father and son become tyrants to the people of the local town, killing or maiming anyone who dares to even speak out against them. First a young salesman Chen Shuen is blinded. Next a blacksmith Wei Jia-jie is rendered deaf and mute. Followed by Sun Chien whose legs are chopped off. Finally a young passing Kung Fu expert Wang Yi tries to avenge them but is overwhelmed, captured, and reduced to a brain damaged imbecile through the use of a vice like head restraint. Feeling guilty, the others decided the least they can do is take him back to his master. Once there, Wang Yi's master agrees to train them to defeat the evil Tian-du, by teaching them specialized Kung Fu styles that capitalize on their handicaps. This also involves the creation of new metal legs for Sun Chien. 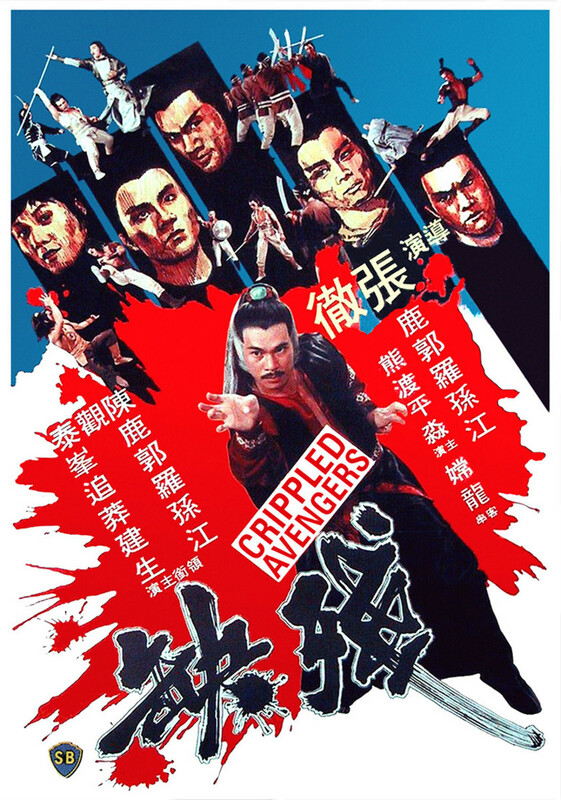 Director Chang Cheh deftly showcases each of his actors varying physical skills, talents, and martial arts styles. The action sequences are long, uninterrupted and well choreographed, displaying lots acrobatic flips, and leaps. The final battle alone, incorporates pole fighting, sword fighting, and some interesting acrobatic hoop work. 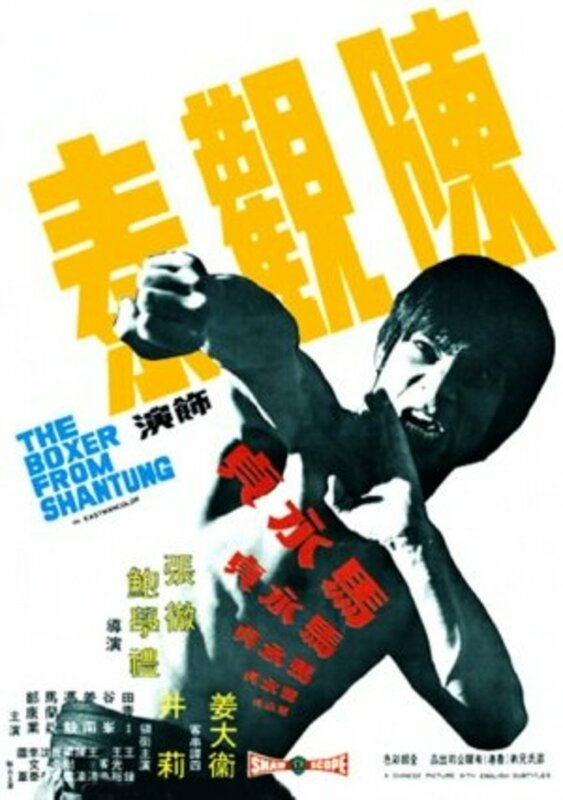 The Boxer From Shantung's story resembles that of Scareface and many other of the gangster film genre. It's the rags to riches, rise and fall story of a young martial artist. Ma Yongzhen is a poor working class man from Shantung who arrives in Shanghai with friend Xiao Jiangbei in search of fame and fortune. Living in squalor in an over crowed hostel, Ma encounters a wealthy crimelord, Tan Si (played by Hong Kong superstar and Shaw Brother's regular David Chiang). Ma's admiration for Tan's confidence, wealth, and style influences him to use his fighting skills to climb the ladder of the criminal underworld. This however, puts him in the middle of a Turf war between Tan and rival gangster Boss Yang. Some notable scenes include Ma's fight with a large Russian wrestler and the final bloody confrontation between Ma and Boss Yang. This epic finale extends twenty minutes as Ma fights his way through an army of Yang's henchmen, with an axe already embedded in his stomach. 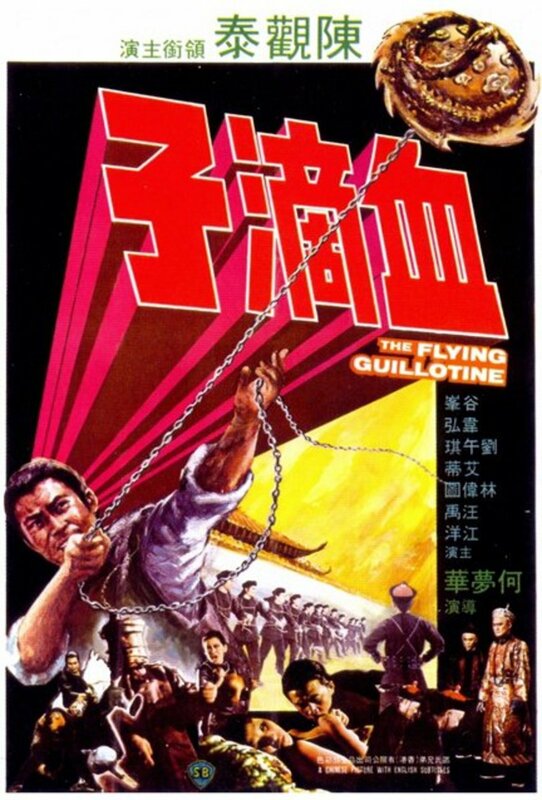 This is the movie that first introduced the moviegoing world to one of the most infamous and mysterious weapons of Chinese legend: the flying guillotine. In China it is known as the Xue Di Zi, which literally translates to "Blood Dripper." It's origins trace back to the time of the Yongzheng Emperor during the Qing Dynasty. Exactly what it looked like, how it was used or if it was even ever actually was used is matter of some debate. Most of the consensus is that it was a hat-like object with a bladed rim and a long connected chain. Some accounts allege that it was thrown over a victims head, and retractable blades would cleanly decapitate them when the chain was pulled. However, there is also evidence that the weapon's lethality may have come from being soaked with a deadly poison, such that it could kill a person immediately upon the drawing of any blood. This poison was said to be so powerful that it could kill a person at the mere sight of single drop of blood, possibly explaining its Chinese name. Other experts believe that it's use as a weapon was in the form of psychological intimidation and not as an actual physical weapon. In the Movie, a paranoid emperor wants to rid his cabinet of some ministers, he believes are plotting against him, but wants to do it secretly, in a way that he will not be suspected. His general, Xin Kang excepts the challenge by inventing a new weapon called The Flying Guillotine, and training an elite squad of assassins in its use. Among them is Ma Teng who quickly excels to become one of the most talented members. Of coarse, inevitably Ma finds himself on the opposite side of his fellow team of assassins. On the run, Ma is able to hide out for a time with his girlfriend, Yu Ping, but his former teammates eventually catch up to him and he is forced to use all his skill and ingenuity to square off against them. The Shaw Brothers would produce two more guillotine movies, The Flying Guillotine 2 and The Vengeful Beauty. The flying guillotine itself would continue to make several other appearance in film and television. The flying guillotine is one of the greatest, most bizarre, and memorable weapons in the martial arts film genre and this is movie to first feature it. 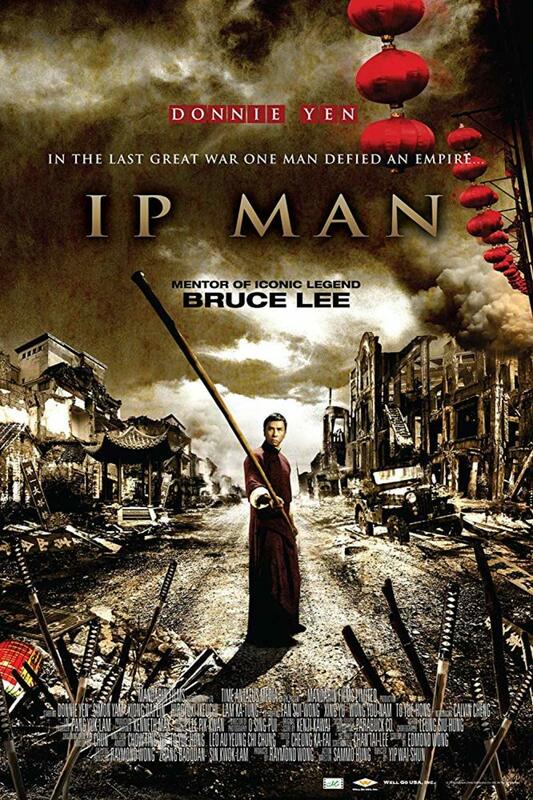 So for martial arts movie fan it's definitely worth checking out. 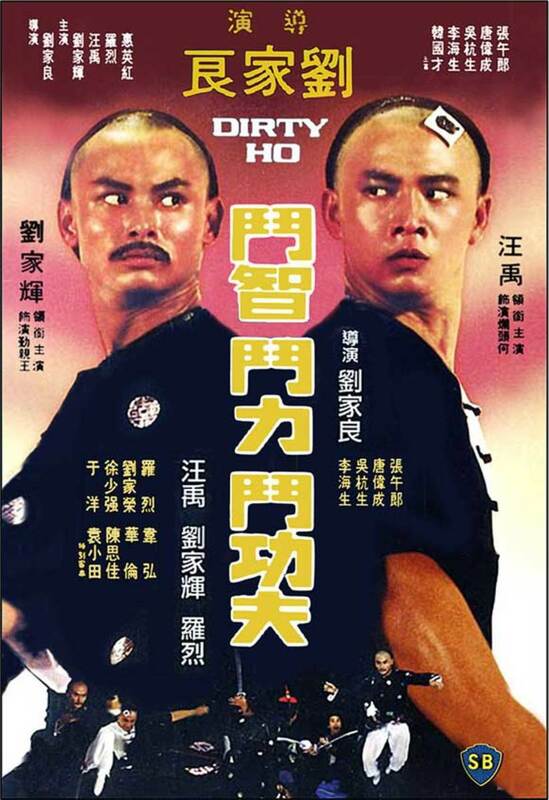 Dirty Ho is a masterfully choreographed comedic Kung Fu action movie. Gordon Lui plays Wang, the 11th Prince of Manchuria, disguising himself as a jewelry dealer traveling the countryside staying in brothels as he tries to determine which of his 14 brother's is trying to kill him. When he runs into a jewelry thief named Ho, he decides to use him to help flush out his enemies and later takes him on as a disciple. While in disguise Wang attempts to conceal his martial arts skills. This leads to some of the more fun and amazingly well staged fight scenes in the film. In one exchange Wang manipulates the arms and legs of a prostitute to look as though she is doing the fighting for him. Another memorable scene involves Wang defending himself from an assassin disguised an antique dealer. Each man pretends to simply be bartering over antiques, while the whole time sparing with one another. The two actors perform a complex series of movements with an effortless fluidity and grace, while simultaneously delivering dialog and a performance. Director, Lau Kar-leung is arguably one of the greatest fight choreographers in Hong Kong cinema and his work in Dirty Ho is some of his best. Some may not appreciate the more comedic aspects of the film, but from art direction and cinematography to directing and acting, Dirty Ho is on an unrivaled superior technical level. Any movie with "Kara hui"
Nick Ray McGill: pretty sure you are referring to the ending of "The Savage Five." Looking for a movie where a young fighter gets trained by getting submerged into a giant boiling pot to toughen iron his skin. The master then whips him after each "bath". It's a collection of other hereos including a figher with an eye patch. The iron fighter gets stabbed under his groin area and dies =(. The villian has a cough which ques the other fighters to attack and eventually kill him. Any help with this movie please been looking all over!!! Anyone know the film where an elderly master is defending himself against a villain that utilizes a throwing-disc-blade weapon? At the climax of the scene, the old man gets the disc stuck in the arch of his foot while attempting to block/kick it out of the air. I believe he is subsequently killed. Outta control I believe that is "return to the 36th chamber"
Balenciaga .... Could it be Blood of the Dragon staring Jimmy Wang yu? kidokungfuman that movie with the albino general was known back in the 80's as "Kung Fu Commandos" but the DVD release called it "Incredible Kung Fu Mission" starring Jon Liu. 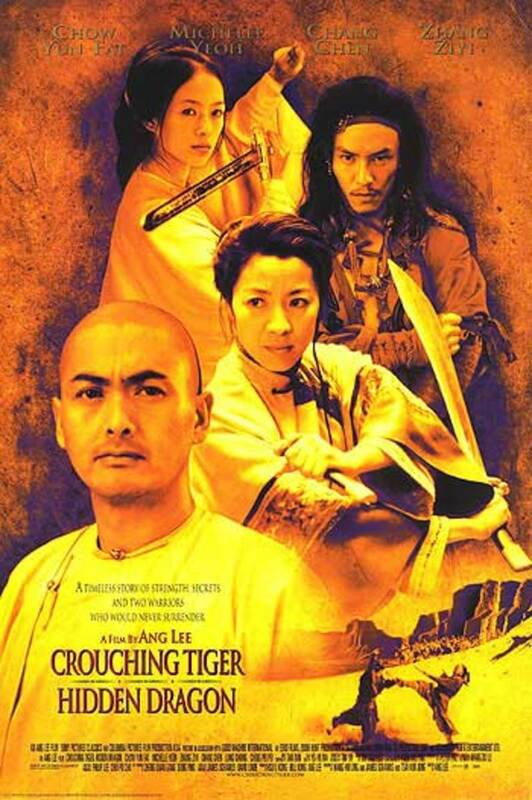 Tricknee the movie you are thinking about is "Invincible Shaolin" starring the five Venoms. Lu Feng, Sun Chien, and Chiang Sheng vs. Lo Mang, Kuo Chui, and Wei Pai. Fun article. Golden Arms is in my top 5. I need help and this seems like the place to get it. I'm looking for a movie with Chiang Sheng were his martial art style is deemed by a foe to be only good for "running away." Chiang Sheng does an insane amount acrobatics. I've been trying to find this movie for years. If you know the name please help. Thanks. Rob, it's Five Shaolin Masters aka Five Masters of Death. David Chiang is the guy with the chain whip. He sends it through bamboo trees during training and later on through some bad guys during the final fight. Again these are just 10 films that I select out of the Shaw Brothers extensive catalog. There are many other great classic Shaw Brothers films, but I had to limit myself to10 to keep it manageable. The Flying Guillotine (1975) and the Fatal Flying Guillotine(1977) are indeed two different films. No Ten Tigers From Kwangtung? And is The Flying Guilotine the same film as Fatal Flying Guilotine? I'm trying to find the name of a movie. The plot...a village or town is destroyed by villains and 4 or 5 guys train for revenge. Each of them specializing in his own weapon. On of the weapons included a blade at the end of a chain. He would use his foot to send the blade flying. During his training he sent it through several bamboo type trees. Awesome movie. Please help. I've been trying to find the name of a movie that i watched as a kid growing up. The only thing i can remember was that he carried around these three idols and he would place them on the ground and he would fight from the trees. Growing up in the carolinas every saturday night around midnight they would have this show called action theater, then i think later it was called black belt theater. I always looked forward to watching these great movies every saturday! If anybody knows what this movie was called, it would be greatly appreciated! Karayate it is Warriors Two I just watched it. Its the story of a Wing Chun master. Great movie. Karayate the name of that movie might be Warriors Two. If the movie you were looking for wasn't Heroes of the East (aka Shaolin Challenges Ninja), I believe the film would be Shaolin Mantis, which stars David Chamg. 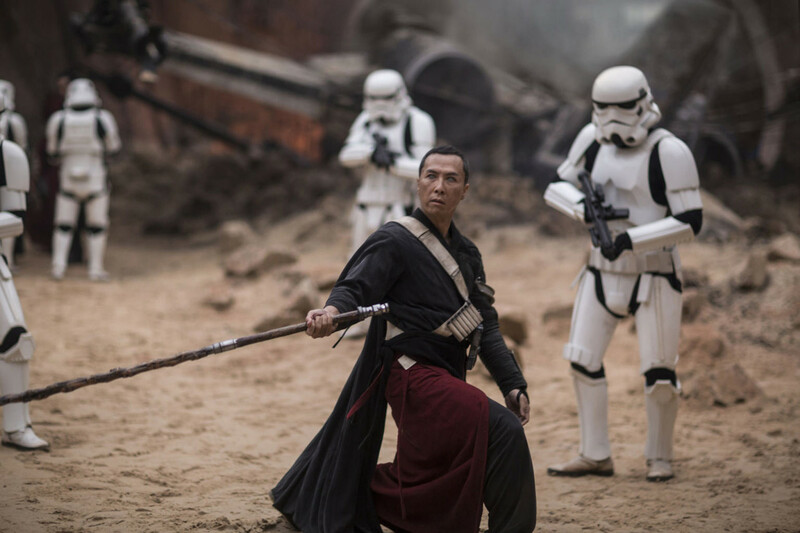 The plot involves a martial arts expert who must successfully infiltrate a rebel group as ordered by the emperor or his family will be executed. Chang's character soon falls in love and weds his key contact, his academic student who happens to be the daughter of group's leader. While she remained somewhat naïve to his purpose, the group is certainly on to him and as such a condition of the marriage is that he may never leave their home. In desperation to see his family, he decides to leave but can only do so after fighting all of his wife's brothers and father. The most memorable part of this film was during his point of defeat, when he woke up in the woods to a mantis with a piece of grass which he imitated in order to derive a technique to counter the style used by his father-in-law. Finally, this film is not typical in the linear sense that good guy must beat bad guy, but what a good buy thinks he must do, thus becoming bad. Thanks. I'm Glad you enjoyed it and I always appreciate the input. I was hoping to have a similarly themed hub of Golden Harvest recommendations posted soon, but I'm having some computer problems. So it's looks like it going to be delayed a little while, but keep an eye out for it. i saw a movie when i was a kid the movie involves villans trying to kill a man ,he gets to master and trains under him.the bad guys kill their master while he is in upper stairs by pulling the floor in a hotel.then at the end the villian who is a oldman takes of his mask he is a young guy ,movie name plz? I totally agree, Avenging Eagle and Kid with the Golden Arm are two more great Shaw Brother classics. Hopeful at some point I get a chance to write reviews for them as well. My fav is Avenging Eagle starring my fav Ti Lung. Fu Sheng was excellent too. I LOVE KID WITH THE GOLDEN ARM AND 36 CHAMBERS OF SHAOLIN IT WAS ONE OF THE GREATEST FILM EVER MADE FROM SHAW BROTHERS KUNG FU FLICKS. THE FIGHTING SCENES ARE VERY GOOD WITH EXPERTS WHO KNOWS HOW TO USED WEAPONS. Well originally I had a longer list, and The Kid with the Golden Arm was on it along with a few others like Mad Monkey Kung Fu, Five Shaolin Masters, Executioners from Shaolin, and Avenging Eagle, but it can take me quite a while to write some the reviews, so I had to narrow it a bit to make it more manageable. As a said it's merely a list of a few essential titles and not a and all be all best of list. Since this is my most popular hub, I'm considering a possible follow up piece with some more suggested Shaw Brothers titles. Right now though I'm working on a Golden Harvest recommendation list. Hope to have that published in the near future, but I have a ways to go on it yet. No Kid with the Golden Arm? Hi Lou...I'm not sure.... But the plot sounds similar to that of Heroes of the East, but some of the specific details differ in that the masters he has to fight are not actually related to his wife to be, but pupils of the same master. If you haven't seen it already you may want to check that one. I'm currently in the middle of writing several other new hubpages. But I hope to start work on a new Kung Fu movie hub focusing on the other major study, Golden Harvest. If should come across another title fitting that description in me fact checking research for that hub, I will let you know. There was an old school kung fu movie that i cant remember the name of maybe you can help.Plot was the guy was getting married but before he did he had to fight his soon to be wifes brothers in order to prove that he was a kung fu master. I think there were about 5 or 6 brothers. The Shaw Brothers definitely had some classics. But, I think their most notable contribution to cinema is starting Godfrey Ho's career. Who knows if we would have ever been blessed with tens of incoherent cut-and-paste ninja movies if it wasn't for this studio.